It’s turning into a colorful fall season here in St. Louis, Missouri. Baseball is winding down… football is winding up. The air is brisk and the skyline is crisp wth a backdrop of color-rich trees. The earth-tones of autumn inspire, not only fashion and seasonal decorating, but outdoor designs too. Outdoor living spaces such as decks, porches, screened rooms, patio enclosures, pergolas and gazebos are often designed and built with various woods: treated wood, cedar, redwood, Ipe, or Tigerwood. Outdoor living spaces built with wood are forever fashionable and always ‘in-style’. 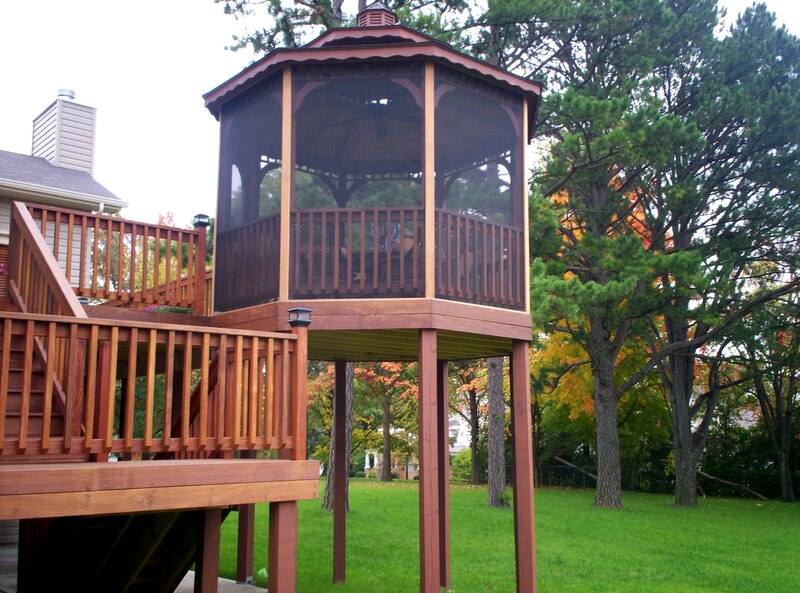 Wood structures are durable and complement most any type of home and backyard. Celebrate the seasonal color changes for wooden outdoor spaces with furniture cushions, pots of mums, pumpkins, corn stalks or even bales of hay. However, with the availability of newer composite and vinyl building materials, a reputable and professional contractor like Archadeck, can ‘spice up’ your outdoor space with designs for a color theme that go beyond classic woods. 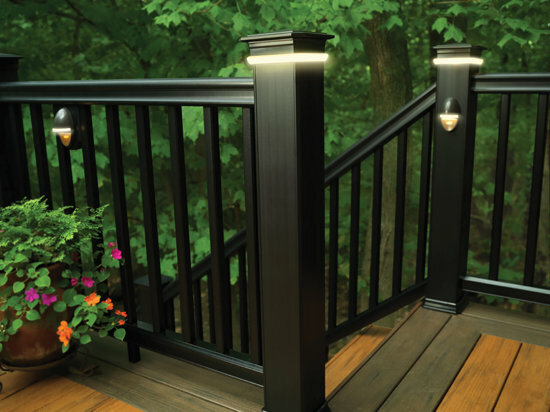 We offer an extensive color choice, or combination of colors, for your outdoor space. Shades of oak, cedar, teak, cherry, walnut; rosewood, deep gray, blue-gray, khaki, forest green; bright white, classic black, and elegant metallic trims too. By adding color to your space, your outdoor living design will exude your personal sense of style while complementing your home decor. So go ahead; celebrate autumn with color for your outdoor living space by Archadeck. If you live anywhere in the St. Louis area including St. Louis County, West County, South County St. Charles, St. Charles County and parts of Illinois, give us a call for a no-charge, onsite estimate – 636-227-0800. Visit our website, west-county.archadeck.com for an online inquiry form and photo galleries of our finished projects. Outside of the St. Louis area, visit archdeck.com for a location near you. 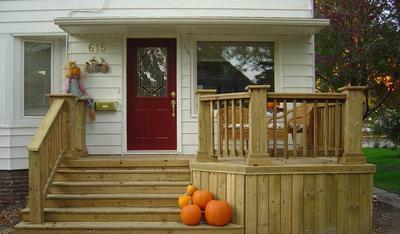 « Fall in love with autumn colors for a new deck or porch design.